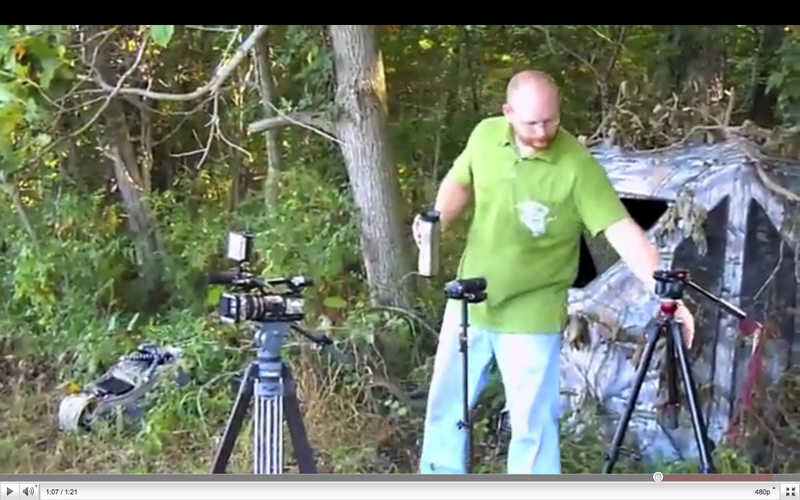 Tripods do require more room then the other options but do offer the most stabilization. Some things that you need to consider when is how much weight you want to carry in your pack. Tripods are going to weigh the most. One way to cut off some pounds is to look for a tripod that is "Carbon Fiber" because those are going to be the ones that weigh the least. 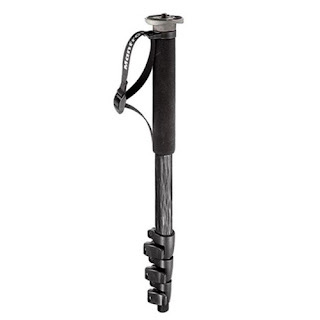 Four section, lightweight carbon fibre and magnesium locking collars monopod. The best solution for spot & stalk hunting, it allows videographers to shoot on various conditions. The monopod has a rapid action extension locks, a wrist strap and a camera platform wit dual 1/4'' and 3/8'' camera fixing screw. Section diameters in mm: 29.2, 24.8, 20.4, 16. 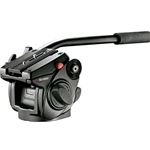 The Crooked Stick is specifically designed for shooting rock-steady video on the ground. 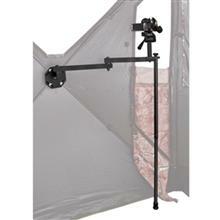 The Crooked Stick is a fold up unit only 19” long, allowing for easy packing. The Crooked Sticks unique design allows for videoing from as low a 12” to a full 40” off the ground. 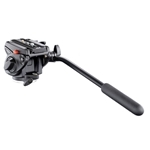 It comes equipped with a point and video design called the Joy Stick, simply grab point and video-Its that easy! The Crooked Stick is rated for a maximum camera weight of 2 pounds. 3rd arm crooked stick demo from The 3rd Arm on Vimeo. Revolutionary…that is the best way to describe the all new Ground Blind Camera Mount. Nothing on the market allows a hunter to film a hunt from inside a blind (hub style or box blind) as easily as this innovative mount. The base mounts easily to the blind hub and the arm mounts directly to the base. 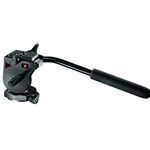 Dual swivel points allow 180 degree motion. 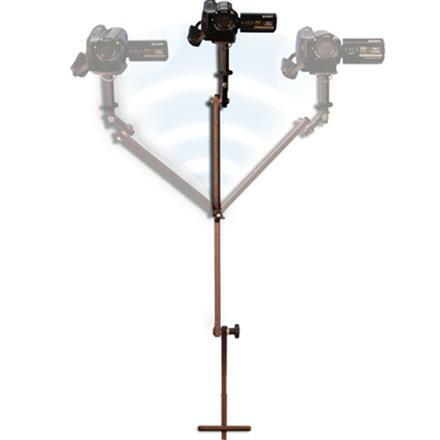 The adjustable support leg (for use with larger cameras) adjusts from 20" to 34".The mount includes a pan and tilt head and holds up to 6lbs. Weight 2 1/4 lbs. Fluid Heads are important when you use any kind of stabilizing equipment. A fluid head is going to do just what its name suggest– give you fluid movements up and down and when panning left and right. Fluid Heads are choose by the weight of the camera. Remember to take into count the weight of all the accessories that you have on your video camera. 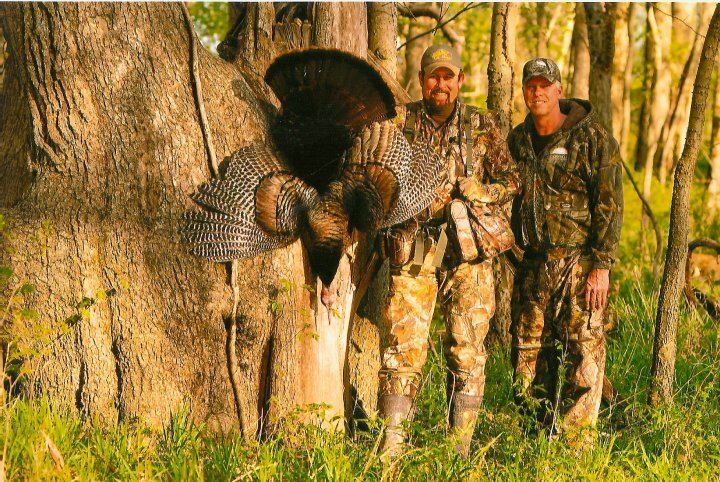 Another great product for Turkey Hunting (if not using a ground blind) is the Cameraman Concealment Cover. 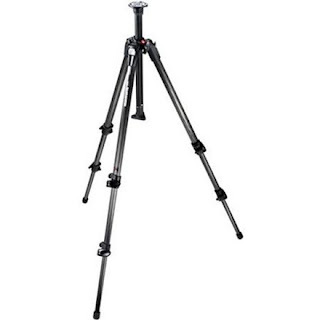 The cover is designed to cover you, the camera and tripod. Your body is the framework that keeps the cover in place. A large camo window screen allows for adequate viewing, yet the birds (or any wildlife for that matter) can't see through it. The cover allows you to move your hands making adjustments with the camera and/or lens without spooking your subject. Anyone wanting to view wildlife who would like to get closer without being seen, this is the product for you. If your into taking pictures, using binoculars (the camo screen can be opened for this purpose) or want to use a video camera. you will find this to be a very useful tool to add to your bag of tricks. It's portable and lightweight so you can carry it with you where ever you go. Comes in Real Tree APG. Other camo styles available by special order. Item Reviewed: Turkey Ground Blind Filming Tips-Stabilize 9 out of 10 based on 10 ratings. 9 user reviews.